Our firm is reckoned as an eminent trader and supplier of finest quality Grey Paving Stones, 5-10mm Top Edge Machine Cut, Surface Flamed. 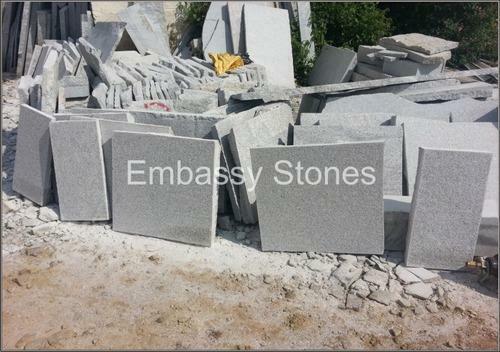 For the convenience of clients, our highly reliable vendors process this granite cobblestone as per their specifications in terms of size, design and dimensions. High strength, dimensional accuracy, perfect finish, glossy look and crack & stain resistance are some of the significant features of this cobblestone. This Grey Paving Stones, 5-10mm Top Edge Machine Cut, Surface Flamed is used in making landscaping and pavements of residential and commercial complexes.